Becoming a member of the Fawkner Food Bowls supports the continued development and maintenance of the garden and allows us to offer discounted produce and a social space for everyone to come and enjoy. Non members are also welcome to visit the garden but will not be offered the benefits and discounts set out below. We ask that all members and guests abide by our Code of Conduct to keep the garden and each other safe and happy. 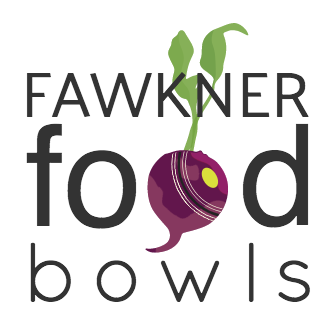 As a member of the Fawkner Food Bowls you can also add on a Social membership to the Fawkner Bowls Club at the discounted rate of $25 per year. This gives you access to discounted drinks at the bar and other social events throughout the year. Membership will also cover you under our insurance when you are in the garden. Every member will have access to discounted produce from the garden. This will be available as the produce is harvested and we will communicate with you regarding what is in season. There will be a number of box options available, ranging in price depending on what is included. The aim of the garden is to always keep the prices as low as we can for our members. You can be as involved as you like with the garden. We have a regular watering roster and the garden is open on Sundays for members and non-members alike. You can meet and work in the garden, share a cuppa and swap produce from your own gardens. Members will receive discounted rates to any workshops that we run through the Food Bowls. Previous workshops have been on Soil, and Companion Planting, with future sessions to cover areas such as Pests and Diseases, Propagation, Crop Selection, and Composting. You may want to suggest a topic of interest. We would like to have regular social events where our members (and anyone interested) can come and join us for a meal or other social event. These will be communicated with you all ahead of time and the cost will be kept as low as possible (with members receiving a discounted rate). Members will have access to seedlings that have been propagated at the garden, allowing you to grow more of your own produce at home. Members will also have input in the plants that are propagated and grown in the garden, and also what types of seedlings they may want for their own gardens. Visiting the garden and attending workshops will allow members to interact with others who can help them grow more of their own produce at home. Kids are always welcome with their adults and attend regularly. The garden is becoming a magical place where children feel involved in the growing of food and engaged in learning about it. We have a sandpit, toys, plenty of space and a fenced perimeter. In 2019 we plan to run events in the school holidays and a program for pre-schoolers which will be prioritised for family membership holders.